Improving physical activity, fitness levels, wellbeing and cognition in individuals (children, adolescents, young adults and the elderly). I am a passionate advocate for health, fitness and sports participation and love to explore innovative ways to improve what we do to help individuals reach their potential. I aspire to become an independent internationally recognised researcher who produces high quality research that makes an impact on teaching and coaching practices, and on policy in the fields of health, fitness, sport and physical education. Dr Eather is a Senior Lecturer in the School of Education, the Program Convenor of the Bachelor Teaching (Health and Physical Education) (Honours), Program Convenor for the Bachelor Education (Secondary), and deputy theme leader for ‘School-Based Intervention Research’ in the Priority Research Centre for Physical Activity and Nutrition at the University of Newcastle. 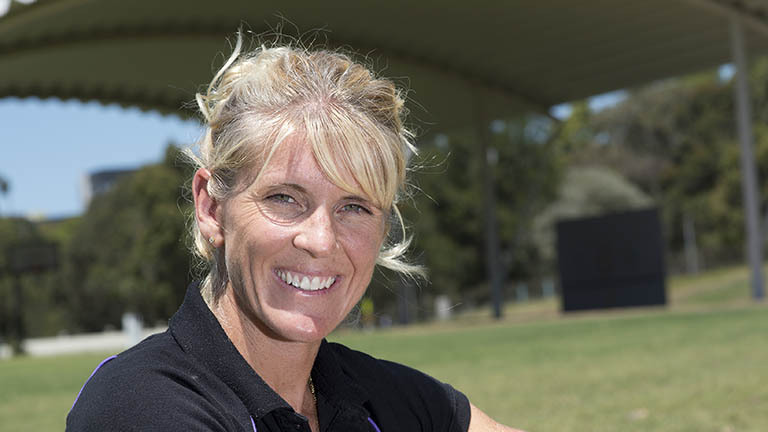 She completed her undergraduate degree in Human Movement and Health Education at the University of Sydney before obtaining her Masters of Education (Physical Education) through the University of New England and a PhD through the University of Newcastle. Dr Eather teaches and co-ordinates a range of health and physical education courses in both the primary and secondary teacher education courses at the undergraduate level at the University of Newcastle. The focus of Dr Eather's research is the promotion of physical activity and physical fitness among children and youth, and with the development and evaluation of theoretically driven interventions in the school setting. She is an active researcher and has published in peer-reviewed international journals. To date, Dr Eather has secured 17 research grants, one fellowship and one scholarship as either a lead or chief investigator (totaling over $1.845m) in research funding. Most recently she was awarded the University of Newcastle Early Career Research Fellowship and an Early Career RhD Scholarship to progress a new research project investigating the impact of variety on adolescent motivation and wellbeing in physical activity settings. As a senior lecturer in Health and Physical Education at the University of Newcastle, Dr Eather has been lecturing as both a full-time and part-time employee for the past 10 years and co-ordinates a number of Secondary and Primary Teacher Education Courses. She is also the current Program Convenor for the Bachelor of Teaching (Secondary) / Bachelor of Health and Physical Education at the University of Newcastle. Dr Eather also has 10 years teaching experience in secondary schools as a PDHPE teacher, sport organiser and pastoral care leader. She also taught in Primary Schools as both a generalist and PDHPE specialist prior to taking on a lecturing role at the University of Newcastle. Dr Eather’s role as Program Convenor of the BT/ HPE (Hons) at the UoN and her research interests have enabled her to collaborate with colleagues and members of the community to contribute to the University and its academic community. She has also actively involved herself in many community sports as an advocate of sports participation and as a representative of the UoN to educate and influence key processes in the development and promotion of sport in community organisations. I aim to have an impact on individuals quality of life through the education and training of teacher education students, sports coaches, school teachers and community organisations.